Prescott Valley Property Management, Prescott Valley Property Managers, Prescott Valley , AZ Property Management Companies. Our management team's years of experience are able to provide professional service for all your property's needs. We pride ourselves on providing quality service for both the owner as well as the tenant at an affordable price. Knowing that your property is in the care of a professional, licensed property manager provides you with the peace of mind an owner needs. Pierce Property Management offers different types of services. 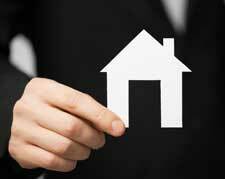 Pierce Property Management’s full-time service includes all aspects of managing your property. This includes, but is not limited to, advertising (which includes professional photographs being taken of the property for the website), showing the property, screening applicants, collecting rent monthly, move-in and move-out walkthroughs as well as periodic checks on the property, handling maintenance requests, disbursing funds to owners monthly and depositing directly into their account. To utilize our services today, please contact our broker at 928-445-8750 or complete the appropriate paperwork below and return it to our office with your set-up fee/reserve check. Our leasing service includes advertising (which includes professional photographs being taken of the property for the website), screening applicants, collecting deposit monies and the first month’s rent and preparing and signing the Lease-Rental Agreement. After move-in, the tenant will send all future rent payments directly to the owner and will contact the owner directly for any maintenance, questions or concerns. We also offer a limited leasing service for owners who prefer to advertise and show the property themselves. We will screen the tenant, prepare and sign the Lease-Rental Agreement as well as collect deposit monies and the first month’s rent. We also have a service available for those owners who do not reside in their property on a year-round basis and do not want to rent it out. We will check on the property for the owner on an agreed schedule to ensure there are no problems in the owner’s absence. This will include, but is not limited to, checking to make sure doors and windows are secure, there are no active, visible water leaks, checking heat settings if needed, and running water to prevent sewer gases from entering the home if the home has not been winterized. If you are interested in this service, contact our broker today at 928-445-8750 for additional information. All of our property managers are licensed real estate agents as well. With their knowledge of the properties, we feel they can provide quality work and personal attention to their clients. Working with the tenants, our property managers can effectively lessen the stress on the tenants as well as the owners when an owner lists their property for sale. They can also provide a free Comparative Market Analysis (CMA) for owners interested in selling. Below please find our management packet for completion. Any documents notated with an asterisk (*) are required and need to be completed. If your property was built prior to 1978, the Lead Paint Disclosure will need to be completed as well. If you would like your property advertised on MLS (Multiple Listing Service) for realtors, complete and return the MLS Authorization form. Unless the property has a well, you will also need to complete the appropriate water landlord agreement for the city/town your property is located in. In addition, if your property is located within the city/town limits, you will also need to complete the appropriate tax forms. To start utilizing our services, complete and return the required documents to our office along with the $200 set-up fee and $250 reserve. The set-up fee includes all advertising costs as well as professional photographs of the property for advertising. If you have any questions on our services, paperwork or would like to schedule an appointment to meet with us, please contact our broker at 928-445-8750. Below is our leasing packet for owners who prefer to manage their own property but would like to use our services to find their tenant. To get signed up today, please contact our broker at 928-445-8750 to schedule an appointment or fill out the enclosed paperwork and return it to our office with the $150 set-up fee and $150 reserve. The set-up fee includes all advertising and professional photographs of the property for advertising. For documents for Limited Leasing Service or Vacant Home Caretaker Services, please contact our office. Provide a Lease-Rental Agreement, collect and account for rent monies and ensure tenants abide to the lease terms. Multiple members of NARPM (National Association of Residential Property Managers) including RMP (Residential Management Professional) designations. The Walker party discovered gold along Lynx Creek in 1863. The Lynx Creek placers went on to produce a recorded 29,000 troy ounces (900 kg) of gold. Estimates of actual production range up to 80,000 troy ounces (2,500 kg), which would be worth about $85 million at 2011 prices. Prescott Valley, formerly known as Lonesome Valley, was settled by ranchers in the 1880s, raising beef to supply the miners and new settlers. The Fain family, pioneer ranchers, still ranch in the valley.